Christmas may still be a couple of months away, but the town of Tamworth is planning to get in early. Tamworth's festive season will, in fact, officially get underway on Sunday 22 November when the town's Christmas lights are switched on in style as part of a fun-filled day of activities. 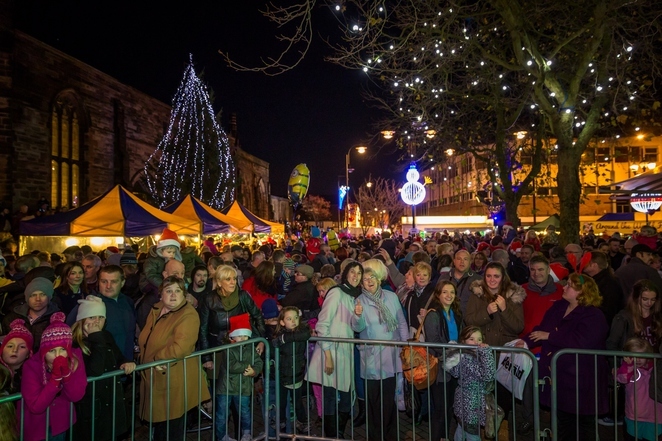 And organisers are even hoping to beat last year's Christmas lights switch-on when an estimated 9,000 people flocked to the town centre to join in the festive fun. 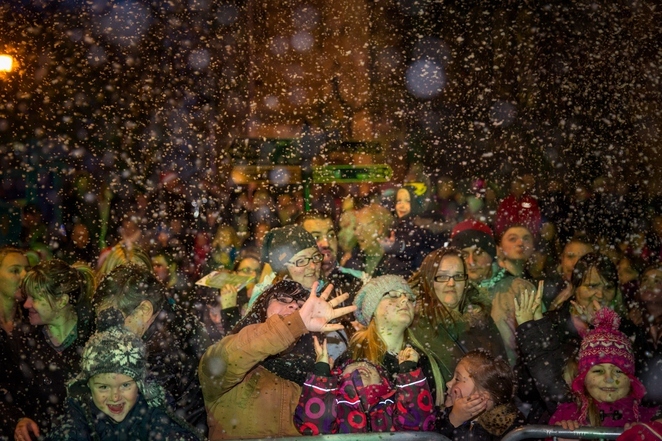 This year's free extravaganza has a jam-packed day of activities for the whole family to enjoy, ahead of the main event at 5pm when the lights will be switched on to bathe the town in Christmas cheer. Festivities will be taking place in Tamworth throughout the day starting at 1pm including live music, fairground rides, a festive market, treasure hunt, and craft activities within the main Ankerside Shopping Centre led by Tamworth Community Café. There will also be a nativity under the Town Hall, the St Editha's Church Christmas Tree Festival, walkabout characters, dance performances, and face painting. Entertainment will again centre around the Touch FM stage in St Editha's Square, which will feature performances from a range of acts throughout the afternoon from 2pm, including the Urban Fusion Dance Company, Fired Up Theatre, Take a Bow, Just Perform, Glen Chevannes and dancers, The Jays, and Tamworth Voices. 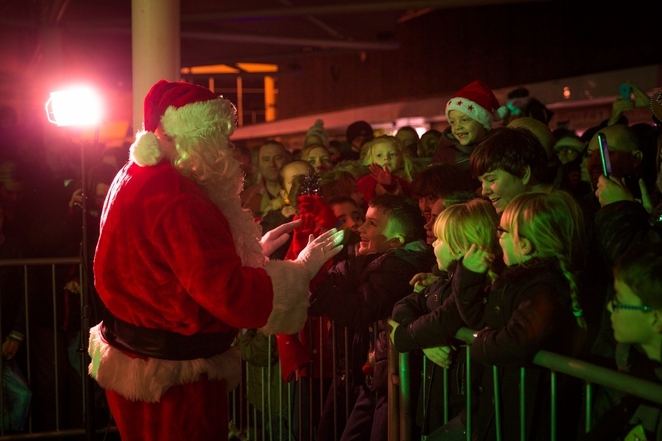 Youngsters will also enjoy guest appearances from Peppa Pig at intervals throughout the afternoon in Ankerside Shopping Centre, with an extra special appearance at the lights switch-on alongside Father Christmas. The event will also see the return of last year's successful Christmas market, lining George Street with stalls selling a range of Christmas gifts, crafts, novelties, local produce and festive food. Wilnecote St John's Band will be adding to the atmosphere in George Street by performing traditional Christmas songs throughout the afternoon. The honour of officially switching on the lights will be given to the winner of the Mayor's Christmas card competition, which was open to primary school-aged children. The winning design will also be used for the Mayor's official Christmas card this year.